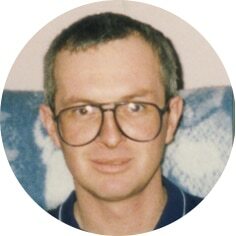 Charles David Malloy, aged 60 years of Regina, SK passed away on Saturday, February 2nd, 2019. David’s father was a mechanic in the Air Force, travelling to Germany and to many different bases in the Atlantic Provinces, finally settling down in Sackville, NS. After his school years, David started his career as a licensed Sulky Jockey which took him all over North America. In Calgary, AB he met his future wife, Lori Thul, where their two children were born. Retiring as a jockey, they moved to Nova Scotia in 1991 to raise the children. Later in 2006, after working other jobs, David came to the Prairies to be closer to his children. He was predeceased by his father, Charles. David will be lovingly remembered by his son, Shane; daughter, Stephanie (Mark Roberts); mother, Helen; brothers, Stephen (Kathleen) and Billy (Beverly); as well as numerous other relatives. The Funeral Service will be held on Thursday, February 7th, 2019 at 1:30 p.m. in Moose Jaw Funeral Home. Deacon Lamont Dyck will officiate and interment will take place at St. John’s Cemetery in Marquis, SK. As an expression of sympathy, donations in David’s name may be made to the St. John’s Cemetery Fund, Box 54, Marquis, SK S0H 2X0. Arrangements are entrusted to Moose Jaw Funeral Home, 268 Mulberry Lane. Todd Sjoberg, Funeral Director 306-693-4550. Our deepest sympathies on the sudden death of David and Lori. Thoughts and prayers are with their two children and family. Thinking of you at this time.